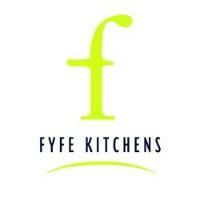 Fyfe Kitchens Limited is a New Zealand owned and operated business. Based in Auckland, we design and manufacture complete cabinet solutions backed by over 40 years of experience. Formerly known as East Tamaki Joinery, the company was founded by Don Fyfe in 1970, as part of Fyfe Homes. In 1987, Don sold Fyfe Kitchens to its pioneer members, Clive Lee and Paul McCarthy. The business initially produced commercial and residential joinery. Then in the 1990’s, Fyfe Kitchens shifted its focus to producing custom built kitchens. Today, our experience, combined with the latest CNC system and CAD/CAM technology, high grade materials, and qualified trades people, help us lead the way in designing and manufacturing complete cabinet solutions. Fyfe Kitchens Limited is a member of the National Kitchens and Bathrooms Association (NKBA). We follow the standards set and governed by the NKBA. The National Kitchen and Bathroom Association is an organisation that maintains industry standards providing consumers greater assurance. To find out more, please visit the NKBA website. Are you building, renovating, or simply wanting a new kitchen? From concept to completion, our team can design, build, and install for you a unique living space that will suit your lifestyle. You no longer need to go and hire several different outfits to build your kitchen, bathroom, or laundry. Please visit our article's page, view our gallery, or read our blog to know more about our work. For information or to get a quote, please contact us.